Pay Here - Koehler Landscape Construction Services, Inc.
Our billing and payment options are made for your convenience. We can email you an invoice as soon as we are done with your lawn and we accept payment by credit card on PayPal's secure site as the preferred payment method. You can pay from your home just like buying on eBay or Amazon. Click and pay. Is this too easy? Or, if you want me to leave you an invoice in your door, or send you an invoice in the mail, and pay with a check, or cash, I certainly don't mind. 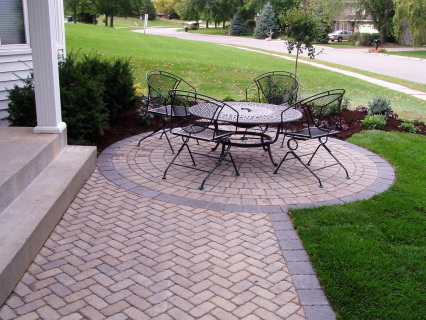 Patio and walkway project - Hollis - Daniel M.